contact us for fixture pricing and or application questions. we can be reached at (269) 382-2050. Kalamazoo Industries 10C 5C collet fixture is disgned for machining centers, drills, mills, stationary fixtures! 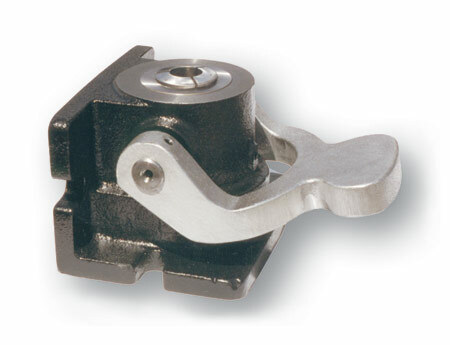 5C Collet Holding Fixture, Vertical or Horizontal, cast iron body. Collets held dead length no lateral part movement. Lever Close. Hardened ground thru hole spindle. Kalamazoo Industries 10C 5C collet fixture cut sheet. Kalamazoo Industries 10C 5C collet fixture parts list.